It’s Thursday and my travel mug keeps leaking. It did this on Tuesday and I just dealt with it. Today I am going to throw it away. Our office building provided us with breakfast this morning: Scones, Coffee Cakes, Egg Bakes. It’s pretty good. And honestly, was all I was thinking about the whole drive in. Daughter has a birthday party this evening. I loaded the car with boots and snow pants and sleds. I hope it’s warm enough and there’s a hill. I’m working one day next week and then just one day the following. It’s a pretty good gig. I can’t decided if I should serve rice or potatoes with the Korean-Style Short Ribs I’m making for Christmas Dinner. It’s time to start thinking about New Year’s Resolutions. I didn’t make any for this year. I think I need to for next year. It’s nice to have some structure. 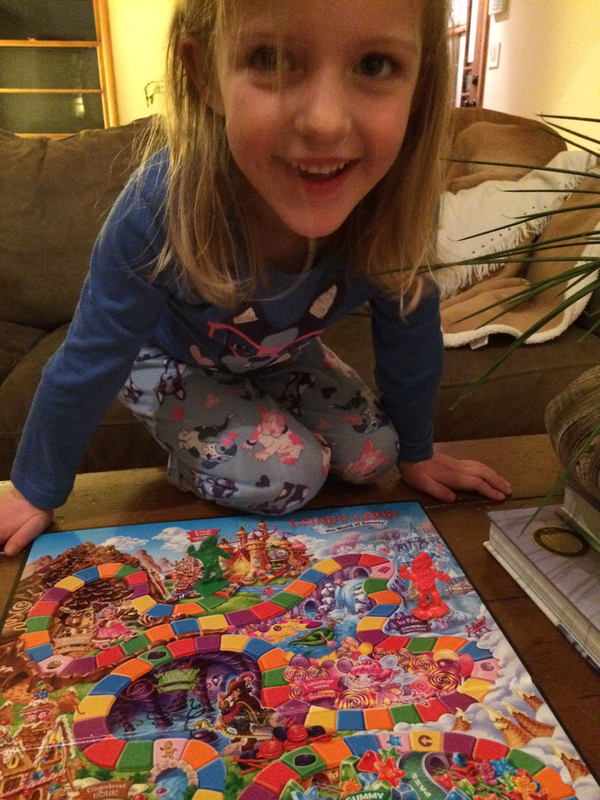 I got beat at Candy Land again last night. I haven’t won since I was her age. I don’t mind.